So you got an Android smartphone for Christmas? Congrats! Now, go ahead and do the robot dance. We'll pretend we're not watching. One thing you can be certain of, no one's gonna laugh at you. A new droid is worth celebrating - but if it's your first, you may as well want to make some noise. Oh, and do take your time. You will soon give your new phone all the attention it deserves. After all, the more you take care of it, the better it'll serve you. Yes, it may seem scary at first, but it's not rocket science, we promise. Droids will do with occasional dusting and polishing, and regular oil changes. A smartphone is a very powerful tool if used properly and getting the best out of it could seem like a daunting task at first. Hopefully, this article will help you find your way through the hundreds of settings and thousands of apps. 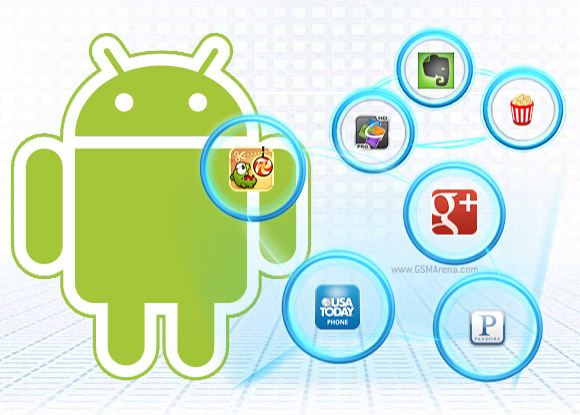 Android is an open source mobile operating system by Google. It's exactly the search giant who's doing all the development and there are some core Google apps for Android that should be taken care of before proceeding. Apps such as Search, Maps and Gmail are likely to have updated versions waiting for you on the Play Store. Hopefully, the smartphone you just got the wraps off of is running Android 4.0 Ice Cream Sandwich, or even Android 4.1/4.2 Jelly Bean, if you've been good all year. Oh, but even if that's not the case, you need not worry. Most of the apps we're about to cover are available for earlier Android builds too. So without further ado, let's dive right in and show you what your new Android smartphone is capable of. Hello All, What is the best app to clean up memory and ram?